Struggling with autistic meltdowns? 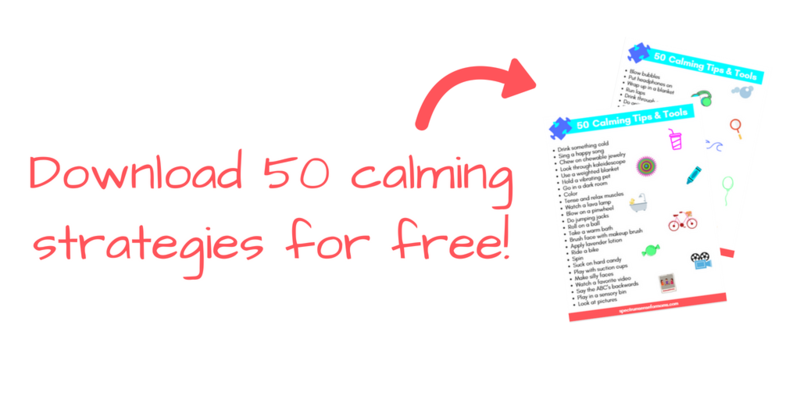 This printable list of tips & tools will give you ideas for all kinds of sensory input, distractions, and other calming techniques. What are you waiting for? Get it! Thanks so much for subscribing! Here's your freebie! Be sure to check your inbox and confirm your subscription, so you can get future offers and upcoming content! Join my exclusive FaceBook group for autism moms! Click below to see the group!